When the planet JUPITER travels through your 1st House it lights up your entire personality so that you shine – both for yourself and for others. Jupiter is awakening your abilities for true leadership, based on following your own natural impulses. Take advantage of this time to make permanent gains in any of the following areas of your life. For best results, choose just one or two of these suggestions for personal growth and expansion, and then take action to make real progress in your selected areas. During this cycle you will be more in touch with your body, and you will be feeling expansive. This can result in losing limits with food and expanding physically by gaining weight. However, it can also mean increasing your physical presence through a regular exercise program that helps you tone your body and develop muscle mass. Weight: It is common astrological knowledge that when Jupiter passes the ascendant (during the first month of Jupiter in the 1st House), the unaware person will generally gain about ten pounds. This happens to thin people who welcome the weight gain, as well as to those of us who would prefer to avoid it. Among other things, Jupiter rules both “excess” and “careless optimism,” and when it passes the ascendant (the physical body) one feels an urge for personal expansion – to “get bigger” – and that urge, combined with a careless sense of optimism, can easily result in over-eating. However, by BEING AWARE of this tendency you can avoid it by staying conscious and not allowing yourself to overeat. An even better idea is to deliberately use the urge for physical expansion to your advantage by making an “expansive” dietary change and/or new lifestyle pattern. This might include increasing your water intake, eliminating something from your diet that isn’t good for you, or adding more fresh fruits and vegetables to your diet. Fitness: Over the years I have told my clients, when Jupiter was passing over their ascendant: “Be careful of weight gain – stay conscious and don’t over-eat.” But they also taught me something. Several of them, concerned about gaining weight, started new exercise routines during this cycle. Not only did they lose weight, but their bodies changed shape in record time! Their physical appearance did “expand,” but it was in terms of gaining strength, health and beauty. So this is the perfect cycle to begin a major life style change, especially a physical fitness routine. We cannot be aware of everything at once, and often we develop the habit of focusing on an area of life that draws our attention outward – towards our family, job, or relationships – and that becomes our world. In the process, it can be easy to lose touch with ourselves – the self that has been growing, changing and developing within. This transit encourages us to put our focus back on ourselves. In this way our outer lives can become a more meaningful expression of who we are – the person we have become over the years. Awareness of SELF: During this cycle, the emphasis of awareness is on SELF, not others. If your awareness has primarily been on others for most of your life – their feelings, wants, and needs – it can diminish your ability to tune in to your own preferences. Jupiter in your 1st House provides an exciting opportunity to re-balance that tendency. During this cycle you will naturally be more aware of the perimeters of your inner world. You will become more aware of YOURSELF – your personal identity and what is important to you. This awareness of self is objective, not personal or emotional. It’s a heightened experience of living inside your own body, and an increased awareness of your instincts for knowing the directions that are beneficial for you. And because it is a positive awareness of self, you will naturally express it in ways that elicit cooperation from others. Increased self-confidence: The heightened awareness of your own needs during this cycle will lead to a resurgence of solid feelings of self-confidence. You will feel a sense of boldness in bringing about the conditions you desire, so this is a great time to take chances that you may not have felt “up to” in the past due to excess timidity or fears about your physical survival. But now you are likely to feel that you have the confidence to make any changes that are important to you. Take charge attitude: Because you are more aware of YOUR desires and what you want to do with your energy, you will naturally feel an urge to take charge of your environment in a way that clears the space for you to go in the directions that are important to you. For example, you may realize that, rather than have a roommate, you would prefer to have your own living space. Under this transit you will be able to see a clear path for taking charge of your affairs in a way that brings this about. By TAKING CHARGE and making the changes you want in your life (which is easier during this cycle), you will gain the permanent strength of character that allows you to make life changes more easily in the future. In this way you will have turned an area of “temporary good luck” into a permanent advantage. Charisma: Your personal charisma will increase during this cycle – others will notice you and will often yield to your preferences. You may find that others pay attention when you walk into a room, down the aisle in the supermarket, or up the street. To learn how to increase this attribute on a permanent basis, really tune in to what it feels like in your body while you are emanating a greater amount of charisma at this time. Then, when this Jupiter cycle is over, you can recreate the feeling of charisma within yourself and maintain the “good luck” that can come from others noticing you! There are many forms of leadership, including self-leadership, taking the lead in partnerships, and leading groups or organizations. This cycle of Jupiter supports the expansion of your leadership abilities. Increased Independence: At this time you will naturally feel more independent and less inclined to allow your actions to be influenced by others. You will have a clear awareness of your own preferences, especially in terms of the directions you want to pursue, and will have the strength and confidence to “strike out on your own”. This is an excellent opportunity to follow up your impulses with ACTION. You can begin with small things. For instance, if you have the urge to go shopping, see a movie, or visit a museum, run the experiment of acting on your impulse and going by yourself. Is there is something big that you have really been wanting to do, like go on a cruise or take a trip to a foreign country? If so, be willing to go on your own, or as part of a tour group, and exciting new experiences will come your way. By acting on these desires you will develop your independence, and the positive experiences will provide feedback that allows you to make this quality a permanent part of your life. Bold Initiative: Embracing a leadership role will feel natural to you during this cycle. You will be aware of your position in various life situations more quickly – and with more clarity – than usual. And once you are sure of your position, you can assert yourself and provide a clear, decisive path for others. Any old shyness or fear will begin to dissolve and a new boldness -a part of who you are now becoming – will begin to emerge. During this time you will feel confident taking the lead in manifesting the outcomes you want to create. Others will also notice your increased sense of independence and may naturally look to you for leadership during this cycle, coming to you for input or asking your opinion before they make a decision. This is an EXCELLENT time to integrate the quality of leadership into your personality by letting others know where you stand and actively taking the lead in situations around you. The fact that others instinctively support your leadership during this cycle further empowers you to make these qualities a permanent part of your nature. Self-assertion: By asserting yourself during this cycle you will make greater progress than usual since others will be inclined to go along with your plans. It’s a good time to learn new methods of effective self-assertion by reading books on techniques that help open the way for others to cooperate with you. More new tools can be gained through books or seminars on affirmative leadership, such as Dale Carnegie’s “How to win Friends and Influence People,” or Stephen Covey’s book: “The 7 Habits of Highly Effective People”. Jupiter passing through your 1st House provides a rare opportunity for you to permanently increase your ability of positive self-assertion. In astrology, the 1st House rules your identity. Everything that you are inside filters through your personal identity – which includes your body – into expression in the outside world. Your personality is the way you express who you are to others. Playing Different Roles: Because you naturally feel more confident during this cycle, it’s a window of opportunity for you to expand your range of self-expression by playing out different roles. This can help free you from any limitations of feeling you can only operate within the context of a past identity. For example, if you have always felt that being a good “wife and mother” means living your entire life around the needs of your family, this is an ideal time to expand your identity. You could also become “she who has strong friendships,” allotting one night a week to fun activities with your girlfriends. In the work place, you could also find creative ways to expand your role beyond the perimeters you have always accepted until this time. This Jupiter cycle is an ideal time to test the impact of your personality by running the experiment of expressing different parts of yourself – or using a different approach with others – to see if it leads to the results you want to create. For example, if you would like more romance in your primary relationship, you could try a new approach to bring that about. One idea would be to take the initiative and plan a romantic dinner out. Arrange for the sitter, make the reservations, and then surprise your mate! Personal Growth: Jupiter traveling through your 1st House increases your sense of self-confidence, so it’s the ideal time to make this a permanent gain by enrolling in a class aimed at increasing self confidence. This could be a Dale Carnegie course, a self-improvement seminar, or a program for recognizing “a more glorious you”. A happy life doesn’t just “happen” – a lot has to do with our willingness to take actions that lead to the results we want. For example, rather than live with the limitations of being unable to drive, this would be the perfect time to take driving classes and make the leap to buying a car. Physical Appearance: This is a great time to change and enhance your physical appearance by expanding the styles of clothing you wear. If you have “fallen into a rut” of a certain way of dressing, Jupiter in the 1st House brings a great opportunity for you to become aware of dressing in ways that bring the results you desire into your life. By altering your physical image, you put out a different vibration that changes how others respond to you. If you want to feel more charismatic, you could run the experiment of dressing a little provocatively – especially around your significant other. To feel more attractively self-sufficient and bring forth an ‘elegantly casual’ aspect of your personality, dress with a layered look that makes that statement. By dressing differently and changing your presentation, you will find that you can alter your experience of daily life. If finances are a limiting factor in creating a new look, visit a second hand store and create a new image that is within your budget. Social Validation: Social rewards can be forthcoming in this Jupiter cycle when you concentrate on expanding your self-expression and the impact of your personality. So it is to your advantage to “allow your light to shine” more than usual during this time, since unexpected opportunities for personal increase could come your way as a result. Independence: This cycle brings an opening for you to express and strengthen your independence. Others are more likely to cooperate with your initiative at this time, which will give you the positive feedback you need to risk truly being yourself. If you have had issues in the past with co-dependency – making your inner state of being dependent on another – this is the perfect opportunity for you to experience the joy of taking independent action. When you act to bring your dreams into manifestation – REGARDLESS of the moods of others – you will feel an inner joy that comes from acting on your own behalf. Life remains exciting when we put ourselves in unfamiliar territory that stimulates and challenges us. Jupiter rules personal growth and expansion, and during this cycle it is definitely encouraging you by presenting ways for you to TAKE ACTION in manifesting the dreams you have for your life – new beginnings that you know would be exciting and good for you, but have not acted on. New Opportunities: During this Jupiter cycle you will feel like making “new starts” and, indeed, it is the perfect time to do so. There may be directions you have wanted to explore for quite a while, and NOW is when the opportunities will emerge for you to walk down these new paths. It is definitely to your advantage to take the risk and go for it! Expand the areas where you exercise your talents. For example, if crafts are one of your hobbies and you feel an urge to start selling your creations at a local craft show – DO IT! If you want to submit articles to a local newspaper, magazine, or other publisher, run the experiment of ‘testing the waters’ and seeing if there is a market for your writing. Personal life changes: If you have been considering a move to a new location, this would be a good time to take a trip and spend a few days there on your own to see how you like it. Notice how the people in the community respond to you – if there is an easy and welcoming accord. If so, you have the confidence to make the move at this time. It would be easy for you and you are likely be pleased with the results. If you have been considering a personal transformation – changing your body through making a life style decision to include regular exercise or improve your diet – run the experiment of rising to the occasion and claiming a new level of growth and expansion. Jupiter traveling through your 1st House brings special good luck to you in the areas of gaining self confidence and assuming the role of leadership in your own life. When the planet JUPITER is traveling through your 2nd House, it lights up your awareness of the importance of creating a comfortable, solid base that will support you in the years to come. Jupiter can open you to new ways of handling money and possessions that will help you to build a stable financial foundation. Take advantage of this opportunity to make permanent gains in any of the following areas of your life. 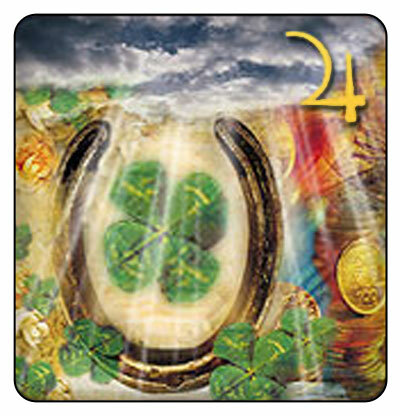 Money will naturally be on your mind during this cycle, and your thinking around this subject is positive and practical. Your judgment about how to use money to enhance your financial stability is likely to be unusually accurate. Brilliant ideas will occur to you, and because your insights are clear, they can open the way for creating success. This is a good luck cycle for increasing your financial worth. Current Resources: New ideas for using your current resources in practical ways that support financial gain will occur to you during this cycle. For example, you may decide to run the experiment of starting a budget to keep better track of your money; beginning a systematic savings program that will allow you to do some investing; consolidating existing debts with a low-interest loan; or beginning to pay your bills over the internet, which will give you a better perspective of your finances. Jupiter is the planet of increase, and by acting on the insights Jupiter brings you during this cycle, you will be able to achieve permanent gains in terms of your assets. Investments: Jupiter in your 2nd House will present you with chances to expand your financial position through investments. Listen to your intuition, and if an insight or idea occurs to you about real estate, bonds, or some other investment – and if you can “see” how to work with it in a solid and practical way – gather your energy and go for it! This cycle brings a tremendous opportunity to increase your abundance – on your own – through a sensible, step-by-step approach. This cycle DOES NOT support “leaps of faith” or reliance on others. It supports financial gain through PERSONAL INVOLVEMENT with PRACTICAL LOGISTICS: making the investment work with the resources you have, even if others “come in behind you” with a gift or loan. If you can go forward with an investment on your own, so you are 100% in control, then chances are more than good that it will pay off. Purchasing necessities: This cycle is an excellent time to increase your possessions. If there are items you need – small appliances, furnishings for your home, office or sports equipment – you are likely to find “good deals”. This is also a good time for major purchases: a car, large appliance, or equipment needed for recreation. You will naturally attract information that will make these expenditures affordable, or you may run across the exact item you want, in great condition, second hand. One word of caution. Jupiter rules expansiveness and positive outlooks, so be sure you don’t over-do-it with your credit card just because you find such good deals! Collecting: This is an excellent time to buy new possessions that add to any collections you have, or would like to start. For example, if you collect antiques, silver, or art, under this cycle you are “lucky” and likely to find pieces you like at a good price that will later go up in value. Your desire to accumulate is energized and your thinking around money is clear. You will make good use of your buying power at this time, and by trusting your instincts you may well increase your financial worth. Selling Possessions: This period also supports accumulating cash by selling any possessions you are ready to release. This could include anything – selling your home, a piece of art, or having a garage sale. Money will come your way more easily now than at other times. Jupiter traveling through your 2nd House will help you realize what’s really important to you at this time in your life. It brings into conscious awareness the recognition of how to structure your life in order to create greater stability. Personal Values: We each have different things that we intrinsically value: relationships, independence, travel, gaining information, money, home, family – the list is endless. It is easy to get lost in the daily routines of life and lose track of your true values. This cycle brings the opportunity to reconnect – on a deep level – with what is really important to you, as well as an understanding of how pursuing and actualizing those values will give you a feeling of real completion. You will see what you want to build in this lifetime, and the Universe will bring you opportunities to move forward in the right directions. For example, you may have always considered education a primary value. During this transit, you will become aware of whether you have gained the level of education that you really want. If not, you will experience a fresh resolve to pursue the degree that will truly satisfy you. Your own intention will open the way to attracting opportunities that can lead to what you seek. In this case, you may find a scholarship program, or some other way to further your education. There is no need to “settle for less” when Jupiter is in your 2nd House. Be willing to run the experiment of consciously directing your energy into manifesting whatever is most deeply valuable to you. Changing Life Values: Life values are what you consider important – the goals you want to achieve and how you spend your time. Life values change for all of us: what seems worth striving for in your 20s is different from what you feel is most valuable in your 40s or 50s. Jupiter traveling through your 2nd House brings the opportunity to decide what you need to create at this time in order to have a solid base from which to negotiate your life in the years to come. For example, if you are in your 20s and newly married, this is an excellent cycle to become aware of your spending habits. Acknowledge each of your strengths and weaknesses in terms of dealing with money. Coming up with a plan for handling your finances that will benefit you now – and in the long run – would be an excellent use of this cycle in these circumstances. To use a different example, if you are in your 40s and leaving a marriage to make a fresh start, you will have a different focus. Then Jupiter in your 2nd House will provide insights about how to solidify your financial position to best support your independence during the next 12 year cycle. For example, during this time a new, stable living situation may come to you that you can easily afford and that allows you to expand into new areas without monetary stress. Focusing to create a secure fiscal base would be a good use of this cycle inthese circumstances. Material Values: This period brings you the opportunity to take stock of your position and your surroundings. Do you have a level of personal comfort and stability that allows you to be effective in the other areas of your life? How can you increase the security of your physical base? It may be arranging your finances so that you have money in the bank for emergencies. It may be organizing your living space so that you feel more in charge of your world. It may be making a purchase that adds comfort, order, or efficiency to your environment. It is important to become aware of these issues because, once your physical base is secure, you will be able to approach less predictable situations – those involving other people – from a position of greater personal strength. This cycle can also teach you how to create what you value. You will have “magical insights” about the exact steps to take that will allow you to successfully manifest your vision or dream. By running the experiment of taking each “next step” that occurs to you for reaching your goal, you will be amazed at the results you can achieve during this Jupiter cycle. Self-reliance is a MAJOR THEME of this cycle. Great progress can be made – and maintained – in terms of your financial situation, but for this increase to occur you must be willing to rely only on yourself. You can make empowering strides in gaining a sense of self-reliance in every area of your life during this time. Jupiter will show you how to turn your most important goals into reality – step by step – by focusing only on manifesting the immediate next step. To build self-reliance you must first identify the MOST IMPORTANT thing for you to achieve at this point in your life. And once your goal is clear, you need to rely totally on your own efforts to reach it. For example, if your goal is to lose 15 pounds, you would first commit yourself to this being your FIRST VALUE. Regardless of what else is going on in your life, THIS will become the most important thing. Next you would determine the first step toward attaining your goal. For example, you may decide to go on a high protein/low carbohydrate diet. Then, if you are at Thanksgiving dinner, you would eat the protein foods but avoid the carbohydrates. If the hostess seems offended that you won’t try her pie, you still graciously refuse. If you think that your host or hostess may be offended if you don’t eat certain foods, you could graciously decline the invitation, or tell them about your diet and ask if they would still like you to come. Your PRIORITY is that diet – EVERYTHING ELSE comes SECOND to your staying with the process of manifesting your chosen goal. By developing the quality of self-reliance now, through this process, it will become a permanent gain that strengthens every part of your life. With Jupiter in your 2nd House, you will become more aware of your own personal values and the importance of living your life in a way that satisfies YOUR needs. Personal value: Sometimes it is all too easy to “give yourself away” – focusing on what others need and losing track of your own needs in the process. This may be due to an intrinsic lack of self-worth that you need to heal, or it may stem from a desire to serve others, or a need to please people to gain their approval. Whatever the reason you have neglected your own needs in the past, this cycle supports a healthy awareness of your own PERSONAL VALUE and the importance of YOUR needs being met. You will experience a tremendous feeling of courage during this time. While in the past you may have remained silent about your needs and preferences for fear of being discounted, now you will feel the courage to speak up. This exercise honors your personal needs as they arise by giving VOICE to them, and this can result in a tremendous sense of self-empowerment and joy. But you can only experience it if you take the risk of expressing yourself in this new way. And, when you take action by verbalizing your personal needs, you will gain self-confidence and create a solid sense of self-esteem. Having what you want: As your perception of your worth as a person is bolstered during this cycle, you will gain in awareness and expression of your personal needs. You will begin to notice whether the various aspects of your life (home, work, friends, and family) are giving you what you need to feel comfortable and thrive. Do they respond in a way that supports you when you express what you need? You will become more tuned in to whether your environment is truly making you happy and giving back the energy you put into it. If not, you will become more aware of options for getting your needs met in realistic ways. For example, if your marriage is “comfortable” but your mate doesn’t want to do things that are exciting and make you happy, this is a good time to figure out how you can meet this need WITHOUT feeling that your mate must do these things with you. For instance, you may choose to enjoy some activities with a friend. As you find more ways to get your needs met independently, your mate may notice how much fun you’re having and decide to join you! In any case, you will have gained the confidence to make changes that lead to getting what you need instead of feeling that you must always compromise. You will begin to recognize that where you invest your energy needs to be in alignment with what really fills your heart, or it’s a waste of time. This can prompt a reevaluation of your job, your primary relationships, your activities – all the ways you currently spend your time and live your life. You may become aware that a certain situation in your life isn’t truly satisfying your deeper needs, and decide to break from the old in order to pursue something that will. However, you are also practical during this cycle and are not likely to leave an unsatisfying situation until you see a clear path to what can satisfy you and help you grow. Personal Needs: Personal needs are intrinsic and individual. To be comfortable, some people need the room to be warmer; others prefer it to be cooler. Some people need a lot of protein to thrive, others do better with more fruits and vegetables and minimal protein. Some people enjoy constant sound (music or television), while others have a strong need for silence. Even in our decor, we differ. Some people prefer a home with many visible keepsakes and “chochkas”… others need a feeling of spaciousness displaying minimal possessions. We each have different things we need to be comfortable in our environment. During this cycle you have the chance to become aware of your personal needs – the colors that make you feel good, your personal taste in dress and decor, etc. It’s a great time to accumulate (or discard) possessions and create an environment that validates you and makes you happy. Financial Security: Just as we differ in our personal tastes, we also differ in what we need to feel secure. Some of us need a savings account that can cover any possible emergency, while others may feel secure with a more intuitive approach to handing money. This Jupiter transit provides an ideal opportunity for you to get in touch with what YOU need to feel financially secure, even if it differs from your partner’s values. You will be able to expand your thinking and see possibilities that will allow you to get what you need in order to have a sense of financial security, while allowing those around you to have what they need. You will have tremendous confidence with financial matters during this cycle, and your perception of money – how it works and how to use it – is more expansive and accurate than usual. It’s a great time to make new beginnings in this area. Relationship needs: We also have differing needs in terms of our relationships. Some of us need to spend a lot of time with others, as social interactions keep us feeling vital. Others have a need for more time alone, and too much socializing can actually undermine their well being. During this cycle, you have the opportunity to clearly see what you need in your relationships. It may be that it’s important to you to spend time with friends. Or it could be your co-workers, family members, or your “significant other” who are important to you in terms of relationships. You will also become more aware of what you personally need in these relationships. This will allow you to examine how you are spending your time, and allot a greater portion of your time and energy to relationships that feed you, and people with whom you have mutually satisfying connections. Creative Purpose: In order to enjoy life to the maximum and remain vital, each of us needs to be actively involved in expressing our creativity in some way that gives our life meaning and purpose. It may be pursuing a hobby, or raising children in a conscious manner, or being involved in a project that we feel has humanitarian value. Maybe we are working to establish a business we feel has merit, or are involved in a group with whom we share similar values and interests. Using our creative talents – whether they involve crafts, people, mental development, business, writing or art – is a basic human need. During this cycle you can run the experiment of becoming aware of what is most important to you in terms of creative purpose. For example, if you had only six more months to live, what would you do with your time? The answer to that question can give you insight into how you need to be spending your time NOW in terms of fulfilling your creative purpose for this lifetime. And this cycle of Jupiter is the perfect time to begin taking action to integrate that purpose into your daily life.